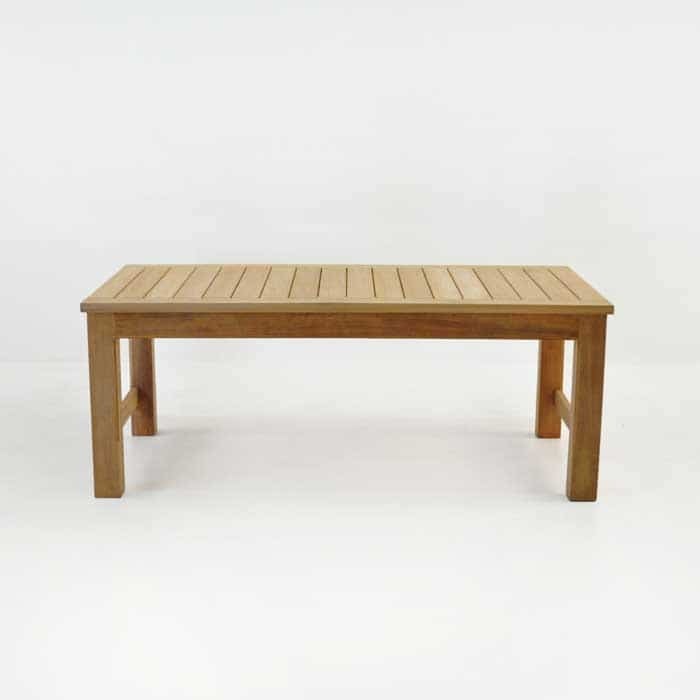 A teak coffee table poised for elegant and sustained impact on your outdoor space. 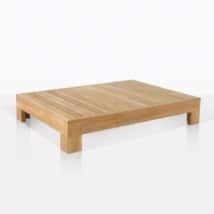 There are very few teak coffee tables that can compete for the immediate bold fresh effect that the Monterey table displays. 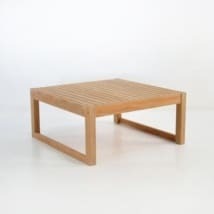 W28" x L52" x H20"
The first thing you notice is the elegant but prominent legs and the smooth large surface of this teak coffee table. Then you realize how tall and grand the surface is. 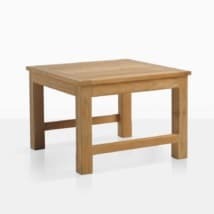 A full 20 inches from the floor to the top of the table makes this table an eye-catching piece. But it might not be the dimensions that have the biggest effect on the viewer or user. 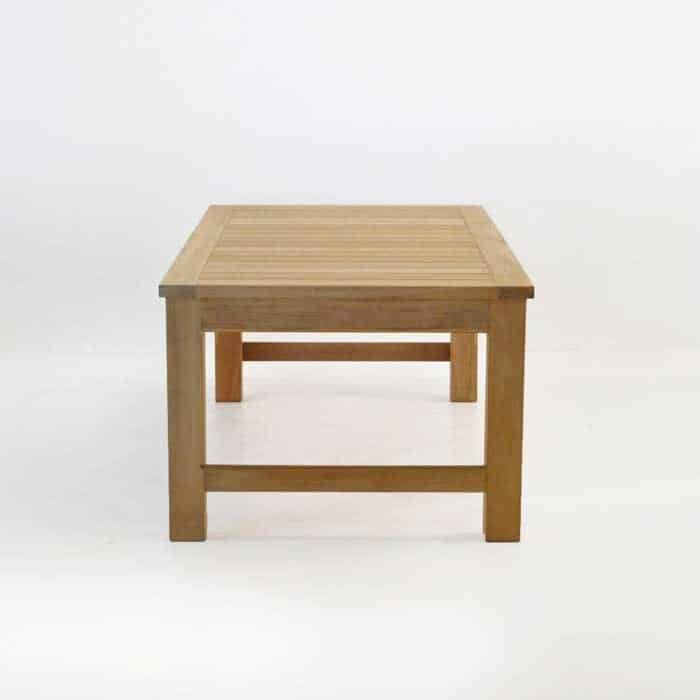 The beautiful A-Grade teak is prominent and displays the best characteristics of this special wood with broad pieces completing a truly stunning teak coffee table. Outdoors or in, this is the perfect place to host coffee in the morning, tea in the afternoon and a large jigsaw puzzle or movie popcorn on an evening in. 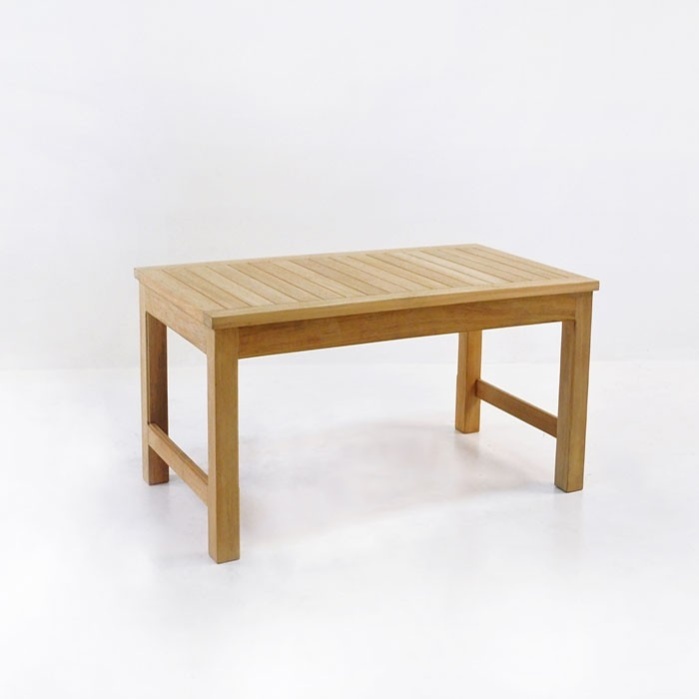 The considerable amount of teak in this table, hint towards its quality and that it’s been built to last a very long time. 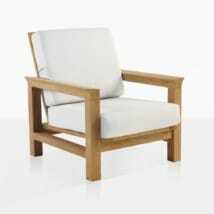 The best teak pieces can be expected to be passed through at least one generation. 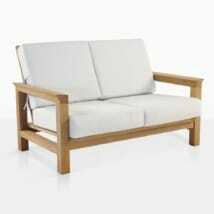 A-Grade teak furniture is among the most hearty and capable materials for outdoor furniture. 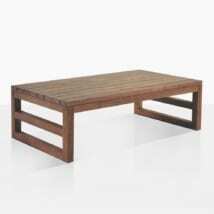 This teak coffee table though, does not necessarily have to find its permanent home out of doors. 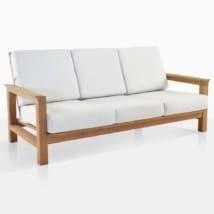 The small surface spacing and the taller stance make it equally impressive indoors, especially where design cues like bold colors or contemporary styling takes center stage. The construction is excellent with all the best components. 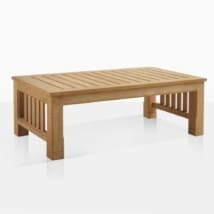 Teak Warehouse wants you to feel the impact of this substantial teak coffee table from the moment you buy it, which is why we only deliver fully assembled and white glove delivered furniture. 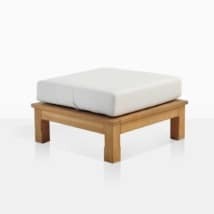 The moment it arrives you can really enjoy all of the grandeur and presence of the piece and you’ll likely, instantly know where you want the delivery team to put it. A piece of furniture so elegant and grand deserves to be put in a place where it can both show it’s best qualities as well as compliment the other pieces in your collection. 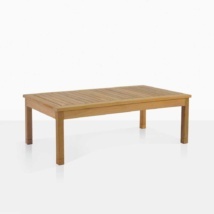 If you want a truly functional and beautiful piece of furniture, you’ll be pleased with this teak coffee table.